Dhaka, 15 April, Abnews: Prime Minister Sheikh Hasina will leave Dhaka today on an eight-day official visit to the Kingdom of Saudi Arabia (KSA) and the United Kingdom (UK). A Biman Bangladesh Airlines flight carrying the premier and her entourage will depart Hazrat Shahjalal International Airport for Dammam in Saudi Arabia today afternoon. The flight is scheduled to reach Dammam King Fahd International Airport at 7:05pm local time. In Saudi Arabia, Sheikh Hasina will join a parade and concluding ceremony of a joint grand military exercise named "Gulf Shield-1" in the Eastern Province of Al-Jubail on April 16, . She will attend the ceremony at the invitation of Saudi King and the custodian of the two holy mosques Salman Bin Abdul Aziz Al-Saud. Saudi Arabia has organised the month-long military exercise aimed at further increasing security cooperation in the gulf region with the participation of its 23 friendly countries. Other countries participating in the military drill are the USA, the UK, the UAE, Saudi Arabia, Bahrain, Qatar, Kuwait, Egypt, Jordan, Sudan, Mauritania, Malaysia, Pakistan, Chad, Djibouti, Niger, Comoros, Afghanistan, Oman, Guyana, Turkey, and Burkina Faso. After attending the concluding ceremony of the Gulf Shield-1, the prime minister will leave Dammam for London in the afternoon on April 16 by a special flight to join the Commonwealth Heads of Government Meeting (CHOGM) Summit. The flight is scheduled to land at Heathrow International Airport in the British capital at night the same day. This year's theme of the CHOGM Summit is - "Towards a Common Future". On April 17, the prime minister will attend the Commonwealth Women Forum as a presenter at the session on "Educate to empower: making equitable and quality primary education and secondary education a reality for girls across the Commonwealth" in the morning at Queen Elizabeth II Conference Centre, Westminster. Sheikh Hasina will join a high-level programme to be organised by Overseas Development Institute (ODI), a prestigious think tank of the UK, in the afternoon. She will be the keynote speaker on "Development Progress of Bangladesh: Policy, Progress and Prospect" in the programme. The prime minister will join the Welcome Reception followed by a dinner to be hosted by British Premier Theresa May in the afternoon. 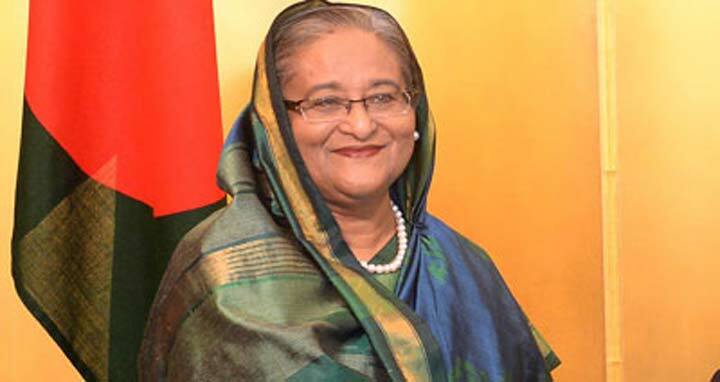 On April 19, Sheikh Hasina will attend the formal opening of the Commonwealth Heads of Government Meeting (CHOGM) and official welcome to be hosted by the British premier. She will join a reception to be hosted by Commonwealth Secretary General Patricia Scotland QC and a presentation and reception followed by a dinner of Queen Elizabeth II in honour of Heads of Government and spouse/partners at the Buckingham Palace. On April 20, the prime minister will attend three retreat sessions and the closing executive session of the summit. On April 21, she will attend reception for participating Commonwealth Heads of Government and the Queen's Birthday Party Concert to be organized by the Royal Commonwealth Society (RCS). The prime minister will join a community reception the same day. Besides, Sheikh Hasina will call on heads of government of different countries on the sidelines of the summit. She will return home on April 23.